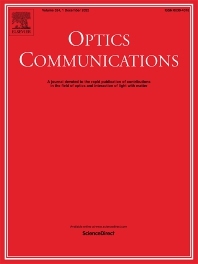 Optics Communications invites original and timely contributions containing new results in various fields of optics and photonics. The journal considers theoretical and experimental research in areas ranging from the fundamental properties of light to technological applications. Topics covered include classical and quantum optics, optical physics and light-matter interactions, lasers, imaging, guided-wave optics and optical information processing. Manuscripts should offer clear evidence of novelty and significance. Papers concentrating on mathematical and computational issues, with limited connection to optics, are not suitable for publication in the Journal. Similarly, small technical advances, or papers concerned only with engineering applications or issues of materials science fall outside the journal scope.